Ready to go September '17 and freight free in Australia. The REVAMP now has 3 seasons under its belt and has been tuned to the max for high performance in waves of any size in either strapped or strapless mode. The width and volume of the REVAMP keeps it planing super early and in full control as the speed increases. The design features a deep V throgh the tail which keeps the board connected to the water at full speed and makes rail to rail moves super quick and smooth. Each board is laminated with 6+4oz bottom , 4oz under bamboo with 6oz glass over the top on the deck which gives a strong build that is not too heavy. 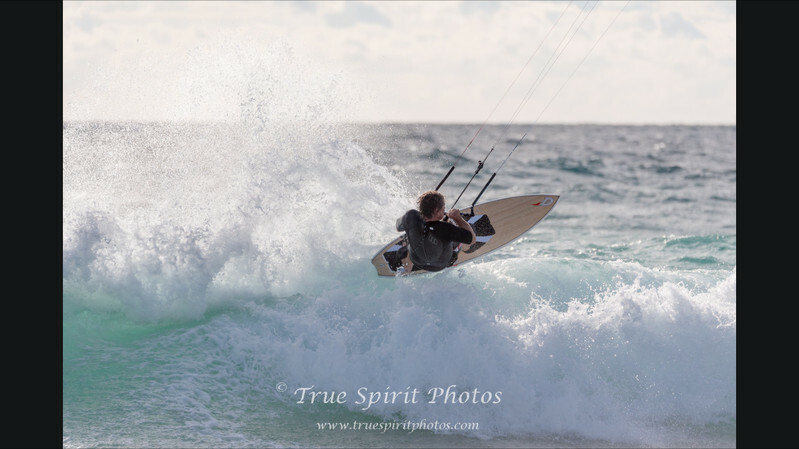 The extra weight is there by design which gives these boards unmatched speed and control in choppy conditions . 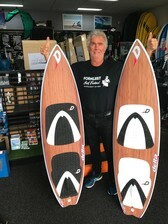 Each board is custom laminated with EPOXY resin at the Cobra International factory in Thailand , the world leader in composite construction of high end water sports equipment . Cobra Intl is used by most of the major brands for their quality of materials and finish. 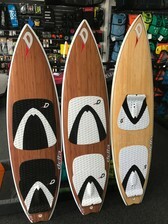 All boards have straps, deck pads and futures base fins and strong boxes with DELTA DESIGNS unique reinforcing that keys the box to the bamboo deck before laminating.